This Saturday, 10/27, Sisters Coffee and Sustainable Harvest will be hosting guest Barista Smayah Uwajeneza from 9am to Noon at the Sisters Coffee cafe on Hood Avenue in Sisters, Oregon. Smayah is a talented coffee professional who works at Question Coffee in Kigali, Rwanda and is the 2018 Kenyan Aeropress Champion and a Specialty Coffee Association Lead Diversity Scholar. She is also the recipient of the Leadership Equity and Diversity (LEAD) Scholarship Program through the SCA. The SCA (Specialty Coffee Association) received over 60 applications from individuals all over the world, representing a wide range of coffee professions, including baristas, café managers, graduate and PhD students, and more. After much deliberation five recipients, including Smayah, were chosen for the 2-year program, which includes participation in events and educational activities, as well as career development and expansion of professional networks. Smayah will be brewing up coffee from the Nyampinga Women’s Cooperative using her championship Aeropress recipe. 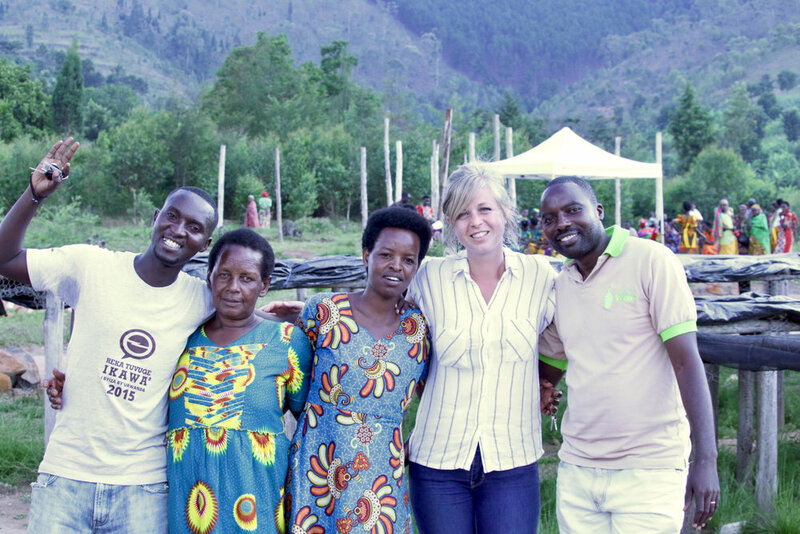 Sisters Coffee has a deep relationship with the Nyampinga Women’s Cooperative. After raising funds by running the International Peace marathon in Kigali, Rwanda in 2016 Sisters Coffee donated the funds to the cooperative for the installation of a water pump, bringing water, previously carried a half kilometer by foot, to their coffee washing station. Sustainable Harvest has graciously donated a bag of coffee from the Rwanda Nyampinga Women’s Cooperative for this weekend which Smayah will be brewing on Saturday. We will also have 12oz bags of the Rwanda Nyampinga for sale at a discounted price this weekend only. All the proceeds from the sales will be donated to Sustainable Growers, a program run by Sustainable Harvest meant to empower women in rural communities of Rwanda of which the Nyampinga Women’s Cooperative is a member. Smayah has journeyed all the way from Kigali, Rwanda to visit Sisters, so we hope you’ll drop by to meet her over a cup of delicious Nyampinga coffee this Saturday!